Lights is a full LED luminaire library from Winled featuring always up-to-date luminaires. Every luminaire is modelled with user interest in mind and have functionalities that equal reality. 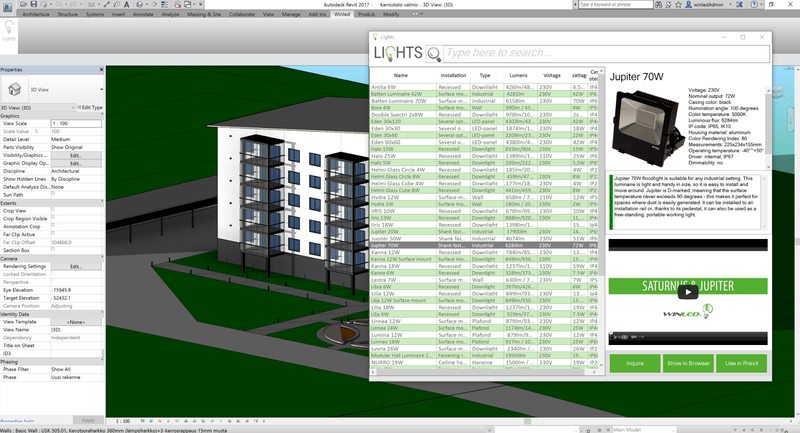 The Lights application provides over 50 different kinds of luminaires with comprehensive technical data. The free Lights add-in is brought to you by Winled Oy.